The admission by Ben Bernanke that he doesn't fully understand movements in the gold price have alarmed some investors who attribute the 30 percent rise in gold prices to a loss of confidence in paper money. 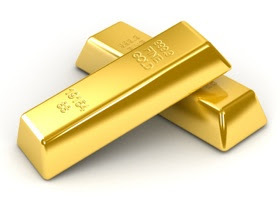 Tim Iacono writes that gold should not be ignored by the Fed Chairman because of the potential of a "Keynesian endpoint", in which governments run out of options to stimulate growth. See the following post from The Mess That Greenspan Made. Alan Greenspan had his conundrum. Now, Ben Bernanke has his enigma. “I don’t fully understand movements in the gold price,” Bernanke said last week. That shocks gold bulls like Johann Santer, managing director at Superfund Financial in Tokyo. And it may be awful news for the global economy that some investors are surer than ever that the gold rally is just getting started. It’s hard to decide what’s more frightening: that investors are losing confidence in paper money or that the shepherds of the world’s major currencies don’t get what’s going on. Gold’s climb of almost 30 percent in a year reflects fear, not just market concern over inflation or deflation risks. People have lost trust in the global financial system. For those of you new to this story, see these two items from last week that detailed one of the more memorable Federal Reserve moments in recent months in which, when asked by Rep. Paul Ryan (R-WI) during a House Budget Committee meeting whether the rising gold price was a vote of “no confidence” in paper money, Bernanke simply observed that gold is “out there doing something different” than other commodities. If the Fed chief’s response is any indication, just as they entered 2008 thinking that all they had was a little inflation problem on their hands, the world’s brightest economists and sharpest policymakers seem largely unaware of the possibility that the system of paper money and out-of-control spending by governments may be failing right before their eyes. The reason that you’d think even your run-of-the-mill economist might be a little more tuned in to the signals that the gold price has been sending derive from John Maynard Keynes’ prediction that counter-cyclical deficit spending would ultimately come up short – something about, “in the long run, we’re all dead”. Have nations reached a “Keynesian endpoint” as exhausted balance sheets leave policy makers with few options to bolster growth? We’ve known for years that the Group of Seven nations were losing their ability to guide markets. Now, they’re losing hope of shielding economies from them. It’s not what the Greenspans of the world envisioned 15 years ago. Back then, warehousing gold bars seemed a bit retrograde. Central banks had gotten so good at whipping inflation that paper money was just fine. Fort Knox was no longer needed. The post-Lehman world is dispelling such notions and we may be on the cusp of history’s greatest gold rush. Bernanke and his peers would be wise to contemplate why. Hubris is a quality that, to me, never suited economists and central bankers, no matter what school they graduated from and what degrees they’ve earned. Sadly, it could be a major factor in their undoing. What B.B. is saying is that it appears gold is disconnected from other commodities. Read: it should not be rising, but some people are betting we will fail at the task of sterilizing inflation by not raising rates when we should. For an excellent analysis of the disconnect B.B. is alluding to, see yesterday's Bloomberg CHART OF THE DAY on gold versus the CRB. It augurs a drastic fall in gold prices. Soon.